Geraldton School Students engage with the Art of Debate. Geraldton Regional Junior Debating winners John Willcock College. Danielle Radford, Chantelle Mills, Chloe Steenson and Talia Cook (not pictured). John Willcock College has achieved outstanding results in the recent Geraldton Regional Schools Western Australian Debating League Competition. The student debating teams impressed the audience and adjudicators, with two John Willcock College teams winning their respective divisions. With the support of Teacher Librarian Olga Cotterell, John Willcock College fielded six teams in the competition, which has been running for the past three months. Students learn the art of research, formulating arguments and developing rebuttals before practicing their public speaking skills in front of a live audience and panel of three judges. In the novice section, two John Willcock College teams, made up of Year Seven and Eight students, debated whether or not non-physical sports, like chess and debating should be included in the Olympics. Arguing for the negative, John Willcock College One made some convincing arguments about tradition and the cost involved associated with including new activities. On the opposing side, John Willcock College Two drew parallels between the sport of curling and competitive chess. Judging on the three aspects of Manner, Matter and Method the adjudicators said it was a very close debate with John Willcock College Two winning for their affirmative argument. In the intermediate section, Geraldton Grammar school defeated John Willcock College to argue that children should not be permitted to work until after they have left school. John Willcock College took out the Junior final as Nagle Catholic College made a late withdrawal. Instead, the audience enjoyed a humorous debate between the JWC Junior team and the adjudicating panel as they discussed the statement “We regret the central positioning of sport in the Australian identity”. Successful Junior team member Chantelle Mills joined the debating competition to conquer her fear of speaking in front of people. “The scariest part is speaking in front of the audience, but I will debate again,” she said. 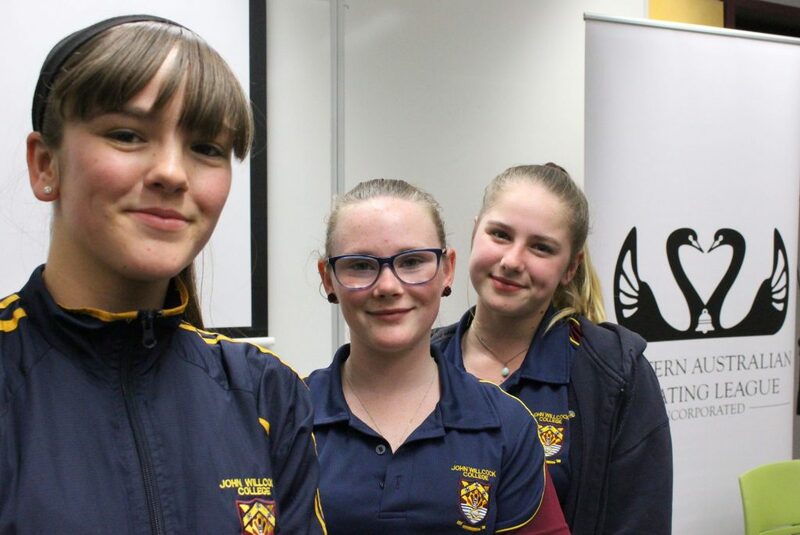 Western Australian Debating League Regional Officer Katie McAllister said there was a real sense of celebration for all of the regional finals. “The quality of debates showed that the students had improved dramatically throughout the season and still have more to learn, which is the perfect place for them to be at in this stage of their debating careers,” Ms McAllister said. She said learning debating helps with students’ confidence and public speaking and less obviously to develop listening skills and empathy. “We live in a world that is changing so quickly, it is vital students have the tools to understand it and to respond to it,” she said. The Western Australian Debating League aspires to ensure all students have meaningful access to debating. Regional debating completitions are held in Geraldton, Albany, Mandurah and the South West.